Our synagogue is based on Jewish Fusion. No religion has all of the truth, they only have a piece of the truth. We need to put all of the pieces together to learn the whole truth. 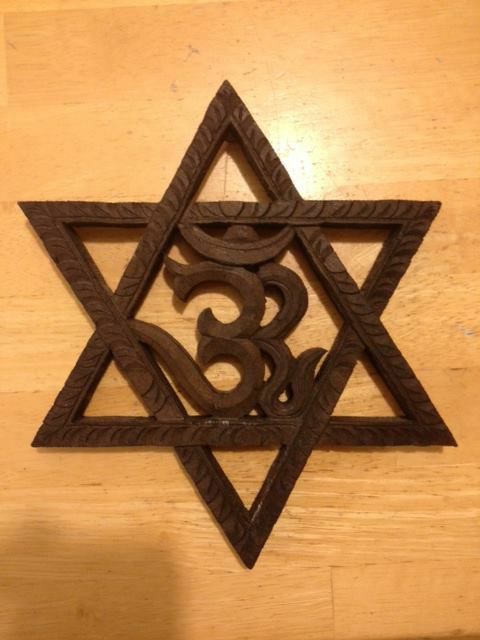 We are a blend of spiritual Judaism, yoga, and eastern philosophies. This will be a Hanukkah for all people, Jew, Christian, Muslim, Hindu, Buddhist, Atheist, Agnostic and everything in between. LGBTQ Friendly. Congregation Om Shalom is a wonderful place to rekindle faith and sharpen knowledge of Jewish culture and teachings. This reformed synagogue's focus is on spirituality, inclusion and access to all, adding meditation, and secular music to traditional Jewish services that are conducted in both Hebrew and English. Congregation leader Rabbi Samtosha and Spiritual Director Joanie Melinda Sobsey, seem to be completely focused on welcoming anyone who needs a spiritual home. If congregations came with a motto, this one would be "No Soul Left Behind."